Former Prime Minister Tillman Thomas said he “finds it strange and cannot understand” why the Australian Government will reverse its decision to provide Grenada with the promised funding for the new Parliament building which was one of the major deals his Government inked while in office. “I, as Prime Minister, made the approach to the then Australian Government during the Commonwealth Heads of Government meeting which was held in Trinidad. 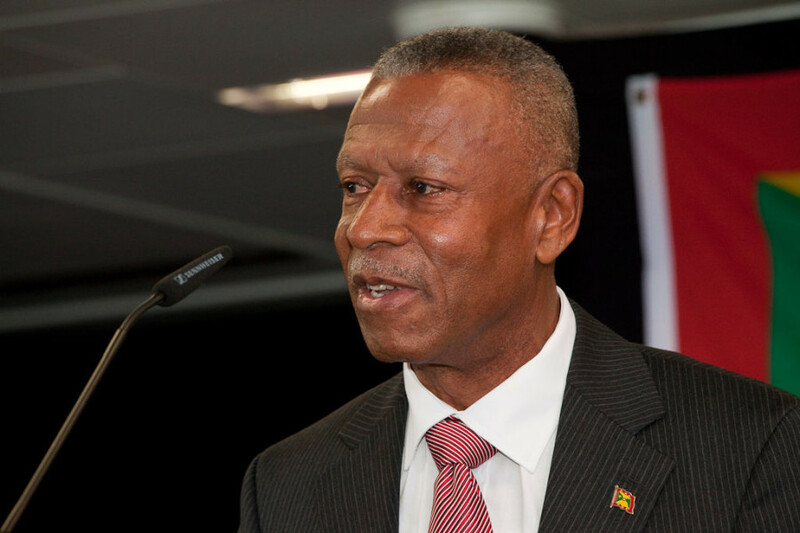 We as Grenada, approached them on the basis of it being a more developed Commonwealth nation,” he said. Thomas who also served as Foreign Minister in the final months of the National Democratic Congress administration which was voted out of office on 19 February 2013, said that to the best of his knowledge the promise to fund the parliament was purely a goodwill gesture. Thomas also denied that Grenada received the promised funds as a gift for voting in favour of Australia becoming a non-permanent member of the UN Security Council on 18 October 2012, in a General Assembly vote which attracted the support of 140 out of 193 countries. “To the best of my knowledge, there were no conditions attached when Australia promised the funding. It’s the first time I am hearing of any vote for the United Nations Security Council — I don’t know — what I know is that there were no conditions, this was a gift from one commonwealth member which is more develop to another that is developing,” he said. According to reports out of Australia, the Tony Abbott Government which was elected on 7 September 2013, following a general election campaigned on a tagline of “stop the waste”, will now be focusing on strengthening and building its relationship with the Indian Ocean and Asia–Pacific region, and will be ending all major projects in the Caribbean. Australian’s Foreign Minister Julie Bishop recently confirmed a series of reversals in the foreign aid commitments which the previous government made as part of its campaign to win a seat on the United Nation’s Security Council. Votes from Africa and Caribbean states helped the then Rudd government secure the seat. While in opposition, Julie Bishop was a loud critic of tactics in Australia’s bid. Although she believed there was merit in seeking the prestigious seat, she argued that the bid put too much attention on African and Caribbean nations at the expense of engagement in the Asia Pacific. Foreign Affairs Minister Nickolas Steele said that despite the setback, Government will continue with the construction because US$5 million was also provided from the United Arabs Emirates towards the new Parliament building. “I am already in discussion with other donors to ensure that we have enough to complete the new Parliament building and these discussions are ongoing,” said Steele, who refused to provide the names of the donors whom Government is holding discussion. Grenada’s Parliament building was destroyed by Hurricane Ivan in 2004. Since then the Parliament has adopted the Grenada Trade Centre as its temporary home.